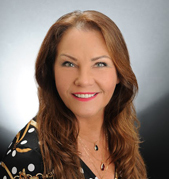 Since 1992, Debbie Faremouth’s real estate success is derived from a solid foundation of communication, dedication, and perseverance. Debbie prides herself on having a keen insight for her clients’ needs and desires, with her constant attention to detail and an extraordinary level of dedication in supporting the families she serves. Providing a long history of experience, alongside a consistent commitment to continuing her education throughout an ever-changing market, her expertise as a Realtor has thrived during virtually every market and circumstance. “From Condos to Castles, One Yard at a Time”, Debbie Faremouth is a real estate powerhouse creating a uniquely personalized full-service real estate buying and selling experience for each client. It is no coincidence that her clients turn into friendships that last a lifetime, and refer her to their trusted friends and family.